Superstar's latest album sets records, even when many expected it not to. 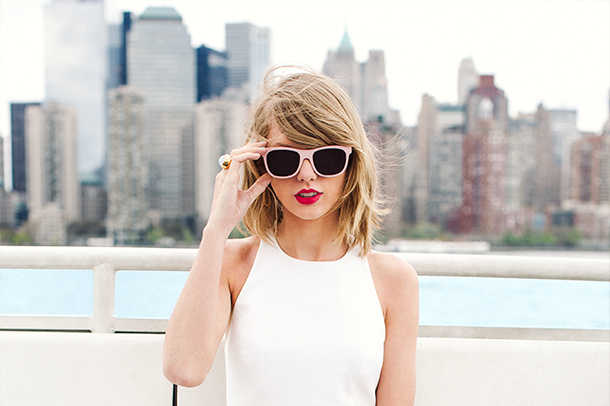 With her album selling more than any other album has all year, Taylor Swift is certainly on a roll. And, quite honestly, there are songs on 1989 that COULD gain airplay on country radio if Taylor wanted them to try to go that route ("Out Of The Woods" and " This Love" are such songs) but she hasn't. That being said, the album's sales are remarkable and since she started in the country music world, we found these notes interesting. We hope you do too. "I was told to keep my expectations low because album sales were in decline, no one had sold over a million albums this year and the last time it happened on release week was with my album RED in 2012. I was told my optimism was naive. I was told it was risky to change creative directions. I was told my album wouldn't sell if it didn't have my entire face on it. I listened to my intuition instead of all those voices. I'm so proud that my fans were able to show the world that art is important and is still valuable to them."